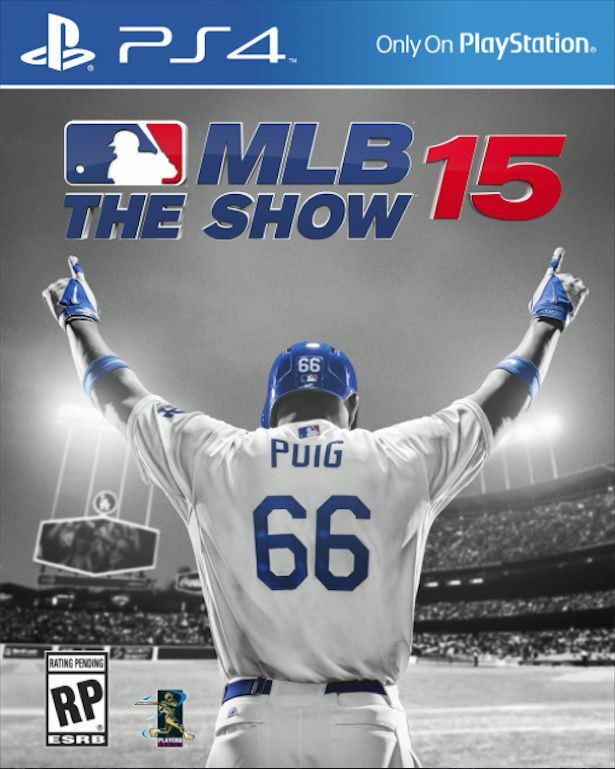 MLB 15 The Show is right around the corner which means baseball fans everywhere are excited. This year we are scouring the internet to find every last confirmed detail about MLB 15 The Show and consolidating it into one place. This post will be updated regularly as more information becomes available. 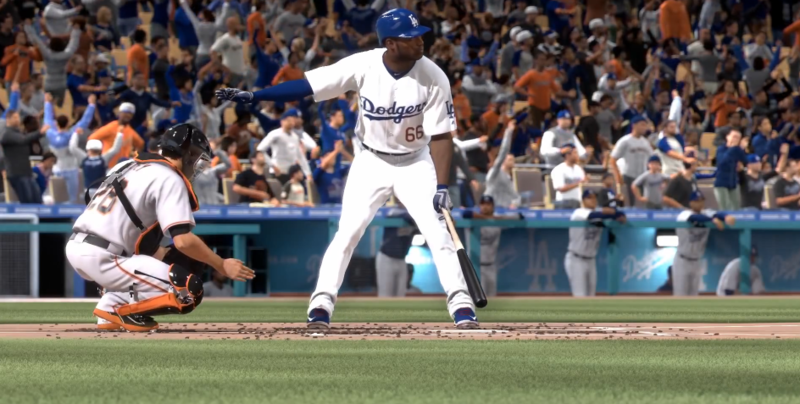 Let’s dive right into the MLB 15 The Show information starting with the first trailer. Licensed Equipment – For the first time ever, partnerships from various brands will bring accurate bats, gloves, cleats, and batting gloves to the game. Year-to-Year Saves – Users who purchased MLB 14 The Show will be able to continue their Franchise and Road to the Show progress in MLB 15 The Show. Universal Rewards – Simply playing the game earns Stubs – virtual currency – and Rewards. Rewards are licensed equipment, virtual baseball cards, Franchise brand partnerships and ritual items. Legends – We’re introducing 30 Iconic MLB Alumni into our virtual player card pool, 1 representative for each team. These players span every historic baseball era of the last 70 years. 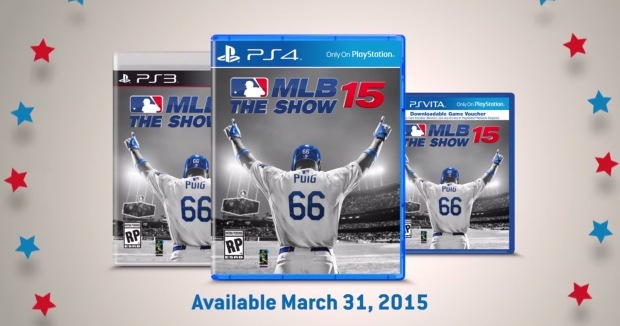 MLB 15 The Show will be available on Tuesday, March 31, 2015. Which Consoles Will It Be On? It will only be released on the Sony consoles: PlayStation 4, PlayStation 3, and PS Vita. The PS4 version will be priced at $59.99. The PS3 version will be $39.99, and the PS Vita version will be $19.99. Unfortunately, MLB 15 The Show will not be available for XBOX One or XBOX 360. The Los Angeles Dodgers’ Yasiel Puig will be featured on the cover throughout the United States. We don’t yet know who the Canadian cover athlete will be but it is usually someone from the Toronto Blue Jays. When you pre order MLB 15 The Show on the PlayStation 4, PlayStation 3, or PS Vita, you can lock in a low price guarantee as well as release date shipping. Additionally, when you place your MLB 15 The Show Pre Order for PS4 through Amazon.com, you will receive a free DualShock 4 skin with your favorite team or player. An essential part of every fan’s season and The Show’s 10th anniversary edition, MLB 15 The Show is full of new features that deliver the most accurate sports simulation possible. For the first time, partnerships with real-world equipment brands will bring MLB-accurate bats, gloves, shoes, and batting gloves to the game. Customize your Road to The Show player in the best gear from the sport’s best brands. It’s not just the gear that’s more authentic this year. Players and teams also have more unique personalities and styles plus a wide array of emotional reactions to all the heartbreak and triumph on the field. And that field will be more action-packed with new animations, a new tag system, and an all new user cutoff system. In 2015, playing the field will be as exciting as stepping up to the plate. And the improvements aren’t all animations and graphics. The game itself has gotten deeper with more ways to play, earn rewards, and put together a Hall of Fame career. Best of all, Universal rewards will mean that all of that gameplay earns Stubs that can be spent on licensed equipment, Road to The Show improvements, and virtual baseball cards. We’re introducing 30 Iconic MLB Alumni into our virtual player card pool, 1 representative for each team. These players span every historic baseball era of the last 70 years. Like all of our Universal Rewards, you have a chance of finding a historic virtual player card to add to your collection and utilize throughout MLB 15 The Show. All of that is only scratching the surface of how MLB 15 The Show is ready to prove that Baseball Is Better. Revamped commentary, improved load times, and an overhauled franchise mode are also on-deck to help make the 10th edition of The Show the best one yet. Leave your MLB 15 The Show suggestions and ideas in the comments section below. If we missed anything that has been confirmed, please let us know in the comments as well so we can update this post.